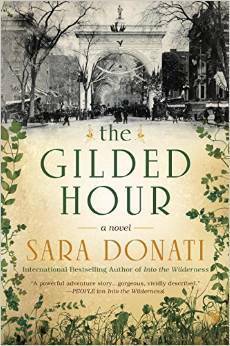 I am most of the way through The Gilded Hour and loving it! Yet I am torturing myself trying to figure out what “common ailment” the slack faced young girl from chapter 43 suffers from?! Please enlighten me! It’s a very short passage Cristy is asking about. Anna and Elise are discussing a patient who is very young and whey-faced, or pale. She is pale because she’s lost a lot of blood, which follows from abortion. A woman who takes too much of certain herbal combinations that stimulate menstruation can end up hemorrhaging. If there is no infection present and the abortion wasn’t incomplete, there is a good chance the young woman can be saved. Cristy, thanks for taking the time to write and ask about what interests you. For anybody who has read this weblog in the past, it’s no secret that I am more than a little obsessive-compulsive about research. So today I was looking for medical texts published in the 1880s on a certain class of surgeries. The issue was (and I’ll be brief): could I get away with intubation for a surgery conducted on xxxx in 1883. Short answer: yes. 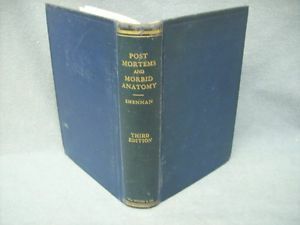 While I was looking through the publications available online I ran across the title Post Mortems and Morbid Anatomy which is relevant to another question I’m researching. But then I checked the date and saw, alas, that it was printed in 1912. Twenty years too late. That’s when I saw the author’s name. So here I am spooling through thousands of texts available on line for some very specific information, and I come across a technical text written by the mathematician’s great-aunt’s husband. Maybe that doesn’t sound like such a big deal, but I got a huge kick out of it. [asa book]1593761910[/asa] Went to bed at 11 pm, woke up at 2:30 am and sleep has evaded me ever since. Might as well put my insomnia to work. I don’t remember where I heard about this author or his books. Safelight (his first novel) got good reviews, but I started with his second novel, Black Flies. Burke is a former paramedic, and both his novels deal with that world. Black Flies is about a young guy who didn’t quite make it into medical school and is floundering, trying to figure out where he belongs in the world. He takes a job as a paramedic in Harlem. This is in 1990s, and things were … vivid. I’ve always been interested in all things medical. I read a lot about this stuff and I watch a lot of documentaries. I can watch surgery without a problem, which is very odd, given my utter lack of ability to deal with needles. So I’m interested in this topic going in, and I’m not squeamish. I can take a fair about of blood and guts if they are part of a larger story that is well told. However, I have to warn potential readers who are less hardboiled than I am: this novel is very graphic in its descriptions of emergency medical treatment and most especially in the way Burke’s Ollie sees and responds to death. There is no romanticizing here. So you are forewarned. If that’s not an issue for you and you’re interested in the time and place and the idea of paramedics in a war zone, then this is a quick read and a thought provoking one. The mid 90s seem like an eternity ago, but Black Flies does a good job of bringing that period back to mind. In this setting you have a guy coming into the Harlem station, his first job as a paramedic, and we experience that with him. How he sees his coworkers, some of them burned out to the point of of zombie-like indifference. Some of them idealistic and generous. Some just there to do the job and get the paycheck. Ollie Cross takes it all in as he works on his technical skills, and as he gets deeper into that world he begins to withdraw from the other people in his life. There are some characters here who are less well developed than they deserve to be, but all in all my sense is that Burke understands the world he is writing about. He certainly made me see it, in vivid color. I’m not going to say more about it for fear of giving away too much of the plot, but I do recommend it — given the reservations noted above. Safelight is a first novel that looks at many of the same issues as Black Fly, but it doesn’t do it as well. (And isn’t that the way it’s supposed to be? A novelist gets better with every new novel.) Safelight is about Frank, a young paramedic who has recently lost his father to suicide. In response he plunges into every kind of self-destructive behavior he can scare up, from theft to getting involved with a woman with a terminal (and infectious) disease. An angry young man, in other words. Daring the universe to give him its worst, and taking photographs along the way to document the world as he sees it: squalor, pain, despair, loss. His photography is one way of venting the turmoil inside him. He photographs suicide victims, rotting corpses, dying street people, HIV positive prostitutes. In other words, this is a man-of-pain novel. An ode to nihilism, and it irritated me. A lot. I have no trouble with the subject matter, but it’s a lot for a first time novelist to handle. I’m still thinking about what went wrong for me, and the best I can come up with (as of this moment) is this: the character is in trouble. He pushes everything to extremes. The author’s job is to make us see that, but without indulging in the same excesses as his character. I think Burke had trouble keeping the upper hand in the writing of this novel, and the results don’t work for me.